Successfully Added Widescreen Netbook with 10.2 Inch Display (Bonus External Drive) to your Shopping Cart. Ultracompact Netbook with 10.2 Inch Screen and bonus external DVD/CD drive. This fantastic Netbook with a superb 10.2 inch wide screen display provides a rich feature set in a compact and sleek form factor. A perfect blend of style and versatility, this ultra portable laptop offers incredible flexibility inside a small but powerful form factor. In addition, this Netbook is shipped without any pre-installed operating system or unnecessary manufacturer bloatware, giving you the freedom to install the operating system of your choice. Providing exceptional portability, this Netbook was designed to meet the increasing need for mobility in the digital age. This Netbook is intended to provide maximum convenience without sacrificing functionality. As such, it would be ideal for those who require a slim and lightweight form factor while retaining the feature set of a standard-sized laptop. 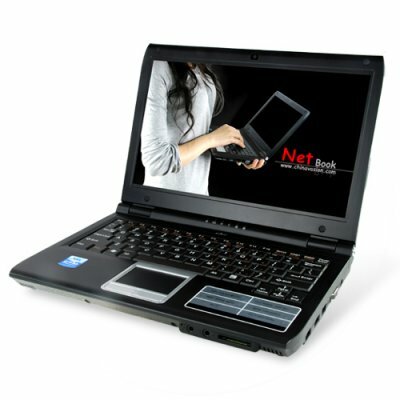 This Netbook is perfect for students, those business people often traveling and needing to have a highly portable computer for their work, anybody who frequently uses wireless hotspots for Web surfing and for the discerning holiday traveler who wants to effortlessly access the benefits of laptop functionality while enjoying enhanced portability. Easy to carry, the CVSB-PC02 Netbook offers cutting edge mobile technologies that provides portable convenience and wireless mobility in a sleek package. Combined with a great wholesale price makes this Netbook perfect either for the resale market, OEM market, or for personal/company use. As always, it is only available from your source for wholesale direct from China electronic products, Chinavasion Electronics. Please note: The Netbook does not support MS Windows 98SE or however it does accept more recent versions of Windows including 2000 / XP / Vista. A suitable operating system can be installed using the bundled external DVD/CD Portable USB 2.0 drive..